Sometimes a craving hits and you just need to fill it. Today that craving was for a burger from Fuddruckers. I had been there once before and ordered their bourbon burger. The atmosphere of the place is really nice and it reminded me of "The Graduate" in San Luis Obispo. The burger or chicken sandwich is served up on a bare bun. It is over in the side bar where you add all the toppings and condiments yourself to dress your burger to your liking. The toppings range from shredded lettuce, romain lettuce, tomato, red onion, white onion, tomato, salsa, pickles, and more. While the condiments remain pretty standard with your mustards, ketchup, BBQ sauce, and mayonnaise. The most important of all the condiments is their hot cheese sauce. If you have not experienced the awesomeness that is a cheesy fry you need to add that to the list and then quickly check it off. It is really great for dipping your fries. I have to give the guys over there at Fuddruckers the thumbs up. They make one good burger and the place was clean. 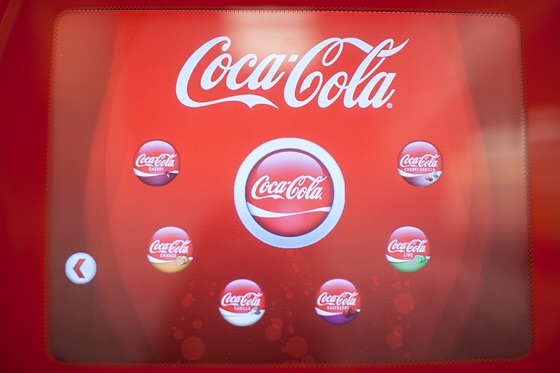 In the corner they have classic arcade games and they even have the new Coca-Cola machines where you use a touché screen to pick or create your own custom soda. How about you. Have you ever been to a Fuddruckers? Also have you ever had fries with cheese dipping sauce? Let me know in the comment section below. If you are new to the blog, welcome! Be sure to head over to Facebook and add my photography page. You can follow me on Instagram as well links located above and remember to like if you liked this, and share this post.